Hamilton Art Auction Fundraising Events provide a proven and predictable method of non- profit fundraising. A fundraising art auction is also an enjoyable social event that promotes a positive image, and creates exposure for your organization and its cause. Hamilton Fundraiser Auction Events provide expertise developed as a result of conducting thousands of successful fundraising auctions, and because of our expertise we can confidently ensure you a fun and profitable art auction fundraising event with no financial risk to your organization. Hamilton Fundraiser Auction will help you realize your financial goals by providing a professional fundraising consultant who will guide and assist you through every phase of your Art Auction Fundraising Event. No matter how large or small your charity organization, Hamilton Fine Art & Auction will customize your art auction fundraising event to suit your needs. From School Fundraisers to Church Fundraisers to large gala events, we make the process effortless for you and fun for your guests. Why Choose a Hamilton Fundraising Auction for Your Next Event? From the initial planning stages to the art auction fundraiser itself, Hamilton Fundraising Auctions provides your non-profit organization committee with all the tools you need to host a fun, social and profitable event – and you don’t even need experience in chairing a fundraiser auction! Your Hamilton Art Auction Fundraising Event consultant will contact you regularly, carefully assisting you with promotion and preparation of your event. Fundraising has never been easier or more fun! HFA will provide you with a customized collection of fine art by the world’s leading artists, sports memorabilia, exquisitely framed and delivered to your location, plus a beautiful collection of jewelry. All Prices, Styles and Mediums. There is something for everyone!!! Opening bids 50% to 60% below retail. The professionals at Hamilton Fine Art & Auction will help you realize your financial goals. Your personal fundraising consultant and the Hamilton Fine Art team will contact you regularly to assist you with promotion and preparation of your event. Your consultant will be present at your “kick-off” meeting, and will guide and assist you and your committee, from the initial planning stages through every phase of the event, so you don’t need experience in chairing a fundraiser! Fundraising has never been this easy and fun. Your Art Auction Fundraising Event will be an enjoyable, well-coordinated and profitable event for your organization. Your organization will provide the location for the auction, a handful of volunteers, arrange for the refreshments and sell tickets for the event. HFA does the rest!! Your Art Auction Fundraising event begins with a one-hour preview where your guests can view an impressive variety of artwork, sports memorabilia and jewelry. We create an inviting display, and recommend that you serve refreshments such as: wine and cheese, coffee and cake, hot or cold hors d’oeuvres, complimentary beverages and/or a cash bar. The preview hour is a time for browsing and socializing, and our skilled auctioneer is available to discuss the displayed works, and answer any questions your guests may have. Immediately following the preview, we begin the live auction, which generally runs from two to two and one half hours. 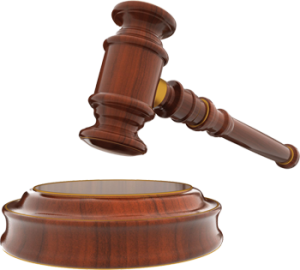 Our own professional, entertaining and experienced auctioneers are trained to provide a fun-filled and informative auction in a relaxed atmosphere. The auction will offer 120-170 customized items, in all price ranges, with many opening bids under $100. Each item will be presented and offered for sale during the live fundraiser auction at a pre-determined minimum bid and will be sold to the highest bidder. We understand that your guests are not experienced bidders, and many of them will be attending an auction for the first time. The auctioneer will engage the crowd, entertain them and ensure that everyone has a wonderful time. Our job is to gently compel your guests to support your organization, by providing wonderful quality custom framed artwork and memorabilia to your guests in exchange for their donations. HFA staff will deliver auction items to your art auction four hours prior to the start of your event. They will work hand in hand with your volunteers to creatively display the works of art and collectibles prior to the auction, coordinate the flow during the auction, and distribute sold pieces of art at the conclusion of the auction. They, along with the auctioneer, will ensure a seamless presentation and will make sure that you and your guests have a wonderful experience. A Hamilton Fundraiser Auction ensures a profitable, entertaining and enjoyable social event that your guests will look forward to year after year. The proof of our success is that the majority of our auctions are scheduled for the following year, they become annual events and the profits grow year after year. Professional auctioneer who will present items in a fun and entertaining manner. Display manager to deliver, set up art and assure that the show runs smoothly. Customized email templates and sample press releases to help promote your event. Our “Art Show & Auction Planning Guidebook, outlining steps for successful auction fundraising. Professional Fundraising Consultant, to run a planning meeting with your committee to guide you through every step, ensuring a successful event. On-line auction item viewing, for supporters who cannot attend event. Hamilton Fundraising Auctions enables you to generate revenues through many different sources. We ensure the financial success with a revenue guarantee, based upon auction sales or an attendance guarantee. organization from a Hamilton Fundraising Auction generally range from $10,000.00 to $30,000. You receive 100% of the proceeds for all ticket sales. HFA provides live auction services for goods and services provided by your organization, with 100% of the proceeds to your organization. Furthermore, Hamilton Fundraising Auctions guarantees your success in writing. We ensure the financial success with revenue guarantee based upon auction sales, or an attendance guarantee, whichever is greater. Please speak with your auction consultant, for more details of available options. Set a date for your charity / fundraiser auction and verify location availability. Sign agreement in order to reserve date on Hamilton Fine Art calendar. Determine fundraising goal = dollar amount. Determine if you will sell advertising space in the auction program. Think about ticket selling strategy. Set the date for the Strategy Planning meeting 2-3 months in advance of your auction date.